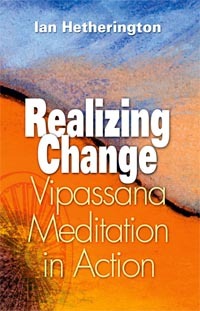 This book brings together voices from around the world, giving in-depth accounts of their apprehensions before undertaking a ten-day course in Vipassana, their experiences during the course, and the subtle yet profound experience of change activated by the practice of Vipassana. 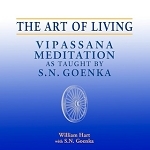 People from every walk of life, every country and culture, every age have found Vipassana a steady anchor in the gale-force winds of change that buffet us. By facing reality head-on through direct observation, rather than reacting, impermanence itself becomes the very medium of transformation. Available here in print and as an audiobook (free download) located below. Download the audiobook as separate MP3 chapters. Listen using the audio stream player. Well-documented, easily-read, and very inspiring. Thank you. This collection of essays highlights the experiences of meditators during and after meditation courses, in some cases over decades of serious meditation. I think this book would be accessible for those considering taking a course for the first time, and inspiring for those who have taken one or many courses. I first came across this book at my local Vipassana meditation center, where there were two copies, both of which had been so well used over the years they were falling apart.